What evidence is there for the Big Bang based on the nature of energy in the universe? 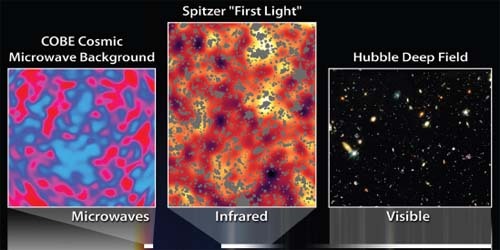 Perhaps the most convincing evidence confirming the Big Bang theory is the cosmic microwave background radiation: the leftover energy from the hot, early universe that still fills space and permeates the cosmos in every direction. Scientists had predieted that such background radiation would indicate that the temperature of space would be several degrees above absolute zero. The detection of the background radiation showed that the temperature was very close to three degrees Kelvin—a spectacular success of the scientific method.